In an effort to address prevailing job-skill mismatch in the labor market, Department of Labor and Employment Regional Office No. 09 (DOLE9) has continuously worked hand in hand with tripartite partners to obtain timely, relevant and accurate labor market information through JobsFit. 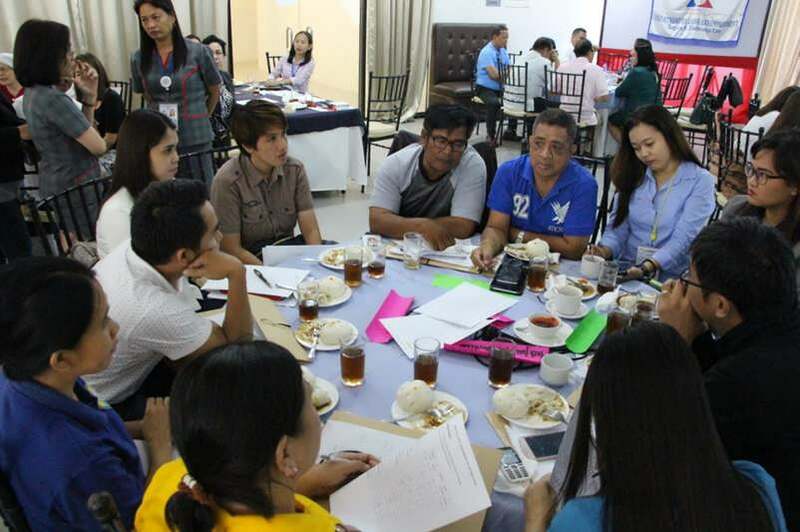 To realize this goal, DOLE9 convened with tripartite partners in the Region for a JobsFit Consultation Workshop on May 16, 2017 at the LM Metro Hotel. 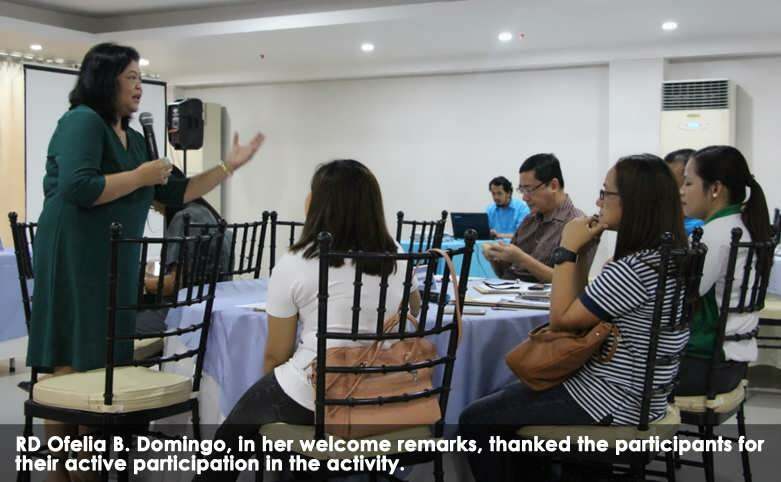 DOLE9 Regional Director Ofelia B. Domingo welcomed the representatives from the different industrial tripartite councils (ITCs) such as the fishing and canning industries, academe, DOLE intermediaries and national government agencies who were present during the activity. She shared that their active participation will significantly contribute in the review and updating of demand requirements, emerging industries and skills supply. Ms. Ma. 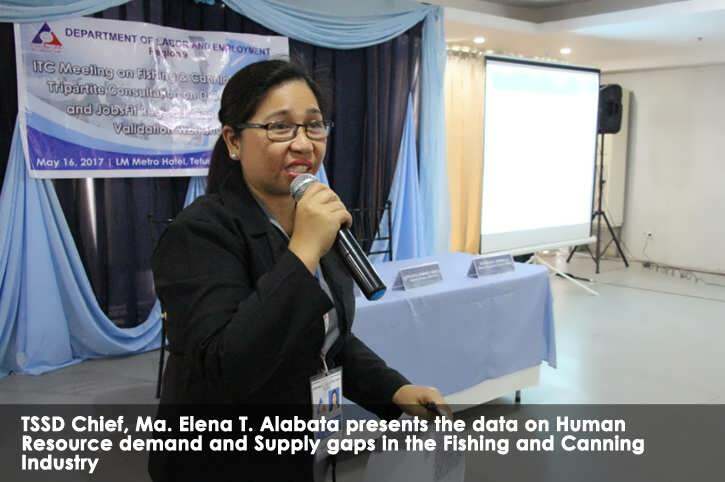 Elena T. Alabata, Chief of the Technical Support and Services Division presented the data JobsFit LMI report: 2013-2020 on Human Resource demand and Supply gaps in the Fishing and Canning Industry. In the workshop that followed, participants reviewed and validated the data and responded to questions in line with issues and gaps on demand and supply competencies as well as on strategies and programs that will strengthen the government's job-skill matching system. According to the inputs provided, in-demand jobs for the fishing and canning industries include skilled fish processing workers such as fish cleaners, skilled technicians, heavy equipment operators, accountants, marine biologists, marine engineers, oilers and fishermen. The body determined whether these jobs are hard to fill and or have a high demand. The presence of other ITCs is essential especially in directly addressing the issues and concerns of the fishing and canning industry. Recommended interventions include industries and school collaboration on providing technical/vocational training, enrolment to TESDA's apprenticeship/learners program and for industries to sponsor scholars. DOLE9 will conduct a series of consultations with other ITCs to ensure that major changes in Region 9's labor market will be appropriately reflected in the JobsFit report.